THIS is to inform Interested applicants that National Open University of Nigeria (NOUN) Admission Form for 2017/2018 year is now on going into the various Program Certificate, Diploma, Undergraduate, Post Graduate Diploma, Masters Degree, and Doctor of Philosophy .The sales of Admission form for the 2017/18 admission was recently announced by the Board management of the Institution, and the Management has made the procedures to be very EASY!!!!!!! Select “View Subject Required” to view compulsory subjects required for admission. Click “Apply” to proceed to payment form. Fill Form. Note: all fields marked with red star are compulsory. You can now view the AVAILABLE PROGRAMMES below without having to download it. No previous experience or qualification is necessary. Ability to read and write will be an advantage. Candidates for Proficiency Certificates will NOT be qualified to proceed to Certificates / Diploma programmes without possessing the requisite basic qualifications. Minimum of 2 credits in SSCE / GCE ‘O’ Level, NECO, NABTEB and at not more than two sittings. T.C II with at least 2 merits at not more than two sittings. Mature candidates of 30 years and above with relevant work experience of not less than 10 years or evidence of prior knowledge / proficiency in a relevant field may be considered on their merit. I’dadiyah Certificate of Standard Islamiyyah School. A minimum of three credits in SSCE / GCE ‘O’ Level, NECO and NABTEB at not more than two sittings with at least a pass in English Language. A minimum of three merits in Teacher Grade II Certificate at not more than two sittings. To qualify to proceed to appropriate degree programme of NOUN, holders of Diploma Certificates would be required to make up any deficiencies in their SSCE / GCE, NECO, NABTEB and T.C II. Five credits in the SSCE / GCE O’Level / NECO / NABTEB or equivalents at not more than two (2) sittings obtained in subjects relevant to the proposed field(s) of study. Teachers’ Grade II Certificates with a minimum of five merits or its combination with any of the certificates listed under (i) to obtain equivalent of five credits at ‘O’Levels. Candidates seeking admission into School of Law must have five(5) credits including English Language, Literature in English and at least a credit Pass in Mathematics at not more than two (2) sittings in NECO / SSCE or GCE O/L only. The School of Arts and Social Sciences requires that one of the five credits or merits must be in English Language, while at least two (2) should be in subjects relevant to the proposed field. For School of Education, the credit passes must include Mathematics for Science Education and English Language for all humanities. Additionally, those in Science Education must have credit in English Language. For School of Science and Technology, the credit passes must include Mathematics and English Language. The minimum entry requirement for B.Sc. Environmental Science and Resource Management is five (5) O’Level (SSCE / NECO / GCE or NABTEB) Credits at not more than two sittings including English Language and Mathematics and any of Geography, Physics, Chemistry, Biology, Agricultural Science and Economics. National Diploma at Upper Credit from recognised institutions. National Certificate in Education (NCE) in subject(s) relevant to the proposed programme of study with a minimum of one merit and two passes. International Baccalaureates, Interim Joint Matriculation Board (IJMB) with at least two ‘A’ Level papers in relevant subjects and pre-requisite number of ‘O’ Level credit passes. Candidates for entry into School of Law must have a minimum of Second Class (Lower) degree from any recognized University with at least five credits including English Language, Literature in English and a credit pass in Mathematics at not more than two sittings in NECO / SCCE or GCE ‘O’ Level only. a) Five (5) credit pass in not more than two sittings in SSCE / NECO / GCE or NABTEB in the following subjects: English Geography and Economics. b) A registered and licensed Community Health Extension Worker with a Diploma in Community Health Officers Programme (Higher National Diploma) and with not less than two years post qualification experience. Five (5) credit passes in not more than two sittings in WASSC, GCE, NECO or NABTEB in the following subjects: English Language, Mathematics, Chemistry, Biology, and either Physics, Geography or Economics. A registered and licensed Community Health Extension Worker with a Diploma in Community Health Extension (Ordinary National Diploma) and with not less than two years post qualification experience. A registered and licensed Community Health Officer with a Diploma in Community Health Officers Programme (National Diploma) and with not less than two years post qualification experience. Concessionary Admission: Mature licensed and registered Community Health practitioners of 45 years and above who are on Grade Level 10 and above that do not possess any of the above stated admission requirements may be considered for admission to run the four year programme. b). B.Sc. Environmental Health Same as B.Sc. Community Health above and must be registered with the appropriate professional body. Five (5) credit passes in not more than two sittings in WASCE, GCE, NECO or NABTEB in the following subjects: English Language, Mathematics, Physics, Chemistry, Biology / Health Science. Diploma in Environmental Health Technician obtained from a recognised College of Health Technology. A valid practice permit issued by Environmental health Officers Registration Council of Nigeria (EHORECON). A Higher National Diploma (HND) in Environmental health Technology. The Public Health Inspector’s Diploma of the Royal Society of Health (RSH) or West African health Examination Board (WAHEB) Diploma for Public Health Superintendents or Diploma in Community Health Officer. Concessionary Admission: Mature licensed Environmental Health Officer 45 years and above who are on Grade Level 14 and above that do not possess any of the above stated O / L admission requirements may be considered for admission into the 300 level of the programme. must be a registered Dental Technologist with Dental Technology Registration Board of Nigeria (DTRBN). a holder of Higher National Diploma (HND) in Dental Technology or Final City and Guild of London Certificate or Professional Certificate in Dental Technology issued by DTRBN. In addition to fulfilling the requirements above, such candidates must also possess five (5) SSCE / WASC / NECO / NABTEB O / Level credit passes including Biology, Chemistry, Physics, English Language and Mathematics obtained at not more than two (2) sittings. Concessionary Admission: Matured Registered and licensed Dental Technologists of minimum of forty (40) years of age and with not less than ten (10) years post qualification experience who do not possess five (5) O / Level credit passes as stated above may be considered for admission but will be required to do some remedial courses (access courses). i. 100 Level: Credit passes in 5 WASCE / GCE / NECO. Subjects including English, Mathematics, Chemistry, Biology / Agricultural Science, at least a pass in Physics. The Credit pass in Agric. Science must be backed up by at least a pass in Biology. ND with a minimum of Upper Credit plus 5 Credits in WAESC/NECO/GCE “ O” Level to be admitted into 200 Level. Direct Entry – OND with upper credit may be admitted into 200 levels of theprogramme. HND with credit pass in Agriculture or related programmes, and credit passes in requisite subjects at O’ Level may be admitted into 300 Level and may be required to take relevant courses at 200 Level. years for 100 and 4 years for 200 level entry candidates. Holders of HND with a minimum of Lower Credit from institutions recognised by the Senate of NOUN. Candidates seeking admission into the School of Law must possess a minimum of L.L.B degree. Candidate seeking admission for PGD Agricultural Extension and Management must possess a Bachelor’s degree with at least 3rd class division is required. Candidates with pass degree and minimum of 3 years related experience may be accepted. HND holders in Agric Science or other related disciplines may be admitted. Holders of Bachelor degree in basic Science, Biological / Earth Sciences, and Agricultural Sciences from Universities that are recognised by NOUN are admitable. Candidate seeking admission for the PGD HIV / AIDS Education and Management must possess HND or a good first degree in related field of study. In addition, 5 credits in English, Mathematics, a science subject and 2 other subjects. A first degree with a minimum of Second Class Lower from a University recognised by the Senate of NOUN in a related field or study. A postgraduate diploma in a related field from a University recognised by Senate may also be admitted. A good honours degree in Education (Arts, Languages, Sciences, Social Sciences, Vocational and Technical subjects) from any University recognized by the Senate of NOUN. Prospective students seeking admission for M.Sc. HIV / AIDS Management are required to have PGD in HIV / AIDS education and management as well as 5 credits in: English and Mathematics, a science subject and 2 other subjects. For the Doctor of Philosophy degree programmes, candidates must possess a masters degree in relevant fields of study from a University recognised by the Senate of the NOUN with a minimum score (CGPA) of 3.5 on a 5-point scale. Candidates for Ph.D Programmes will be invited for an interactive session before an offer of admission is made. Candidates are advised to forward transcripts of their academic records and three (3) referees report, 2 of which must be from persons very well acquainted with the candidate’s academic work, to the Dean, Postgraduate School from which admission is requested. Five credit passes at SSCE/GCE ‘O’ and ‘A’ level must be in subjects relevant to the proposed field(s) of study. A credit level pass in Mathematics is required for all sciences and technology, business education and science education programmes. A pass in Mathematics may be considered for social sciences programmes. Also a pass in English Language may be considered for Physics and Mathematics programmes. Candidates applying for B.A. English, B.A. (Ed.) English and B.Sc. Mass Communication must have a credit in Literature in English. Prior knowledge and relevant work experience (including first degree/HND/RN) may be considered for advanced placement and waiver. Candidates awaiting results of any relevant examination may also apply; they should however note that processing of application will not be completed until entry requirements are met. Note: Candidates may be required to satisfy additional requirements by specific Schools. You are to fill the National Open University Admission Application form online. Follow the guide below to quickly apply. step 1. Go to any of the following Approved Banks. Declaimer: Please confirm these account number from National Open University before making any payment. Do no use the ones on this webpage because it may have been changed Aat anytime. We are note responsible for any loss of funds. Postgraduate (PGD and Masters) Programmes: N7,500 (seven thousand five hundred naira) only. Doctor of Philosophy (Ph.D) Programmes: N10,000 (ten thousand naira) only. step 3. Obtain a NOUN Teller specially designed for NOUN for the purpose of payment. step 4. Collect the Application pin CODE equivalent to the amount paid for your form from the Bank. step 5. 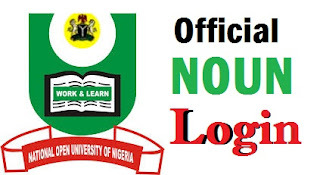 Go to the official website of National Open University Nigeria at: www.noun.edu.ng and click on “Application Form”. step 6. Use your Application PIN to access your NOUN online application form. step 7. Complete the online NOUN admission application form by providing all the required information. step 8. After completion, the candidate can re-open, edit the form as often as he/she likes, before finally submitting. step 9. If you have successfully filled the form, you may submit your form by clicking the submit button at the bottom of the displayed screen. step 10. You can proceed to print out your provisional admission letter. Interested candidates who are applying for the 2017/18 National Open University of Nigeria admission are urged to insist on paying the stipulated cost only and obtain official receipt at the point of payment, (the bank).